This American holly is the remnant of the renowned Burnett Garden. 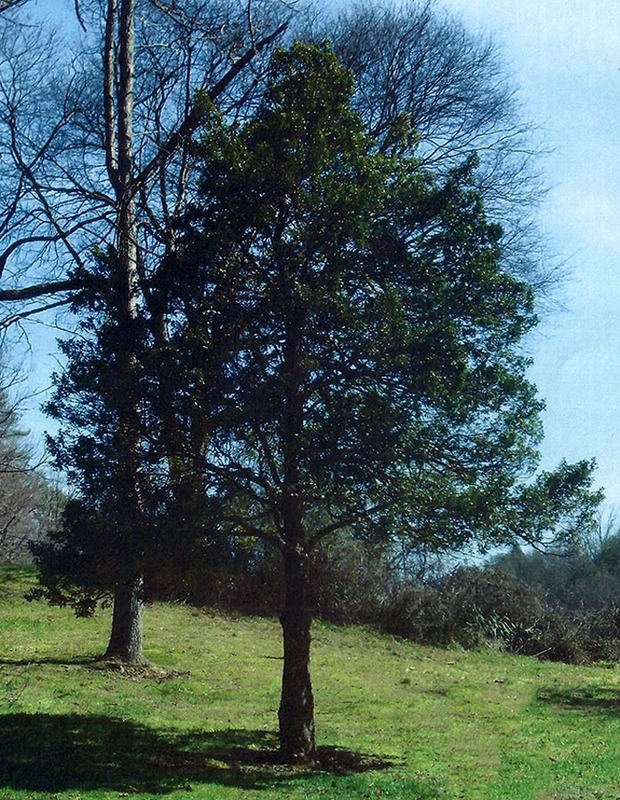 The Burnetts were co-founders and early leaders of the Appalachian community of Pittman Center, settled in 1784 along with the Smoky Mountains. 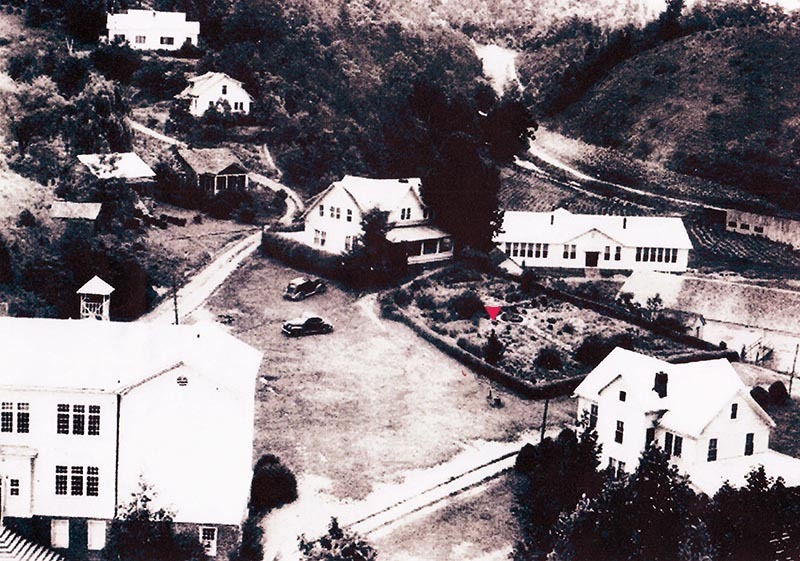 In 1919 a Methodist missionary preacher, Dr. John Sevier Burnett, established a center for education and health needs of the Appalachian people. He helped establish a school, goodwill store, post office, medical clinic, farm, and several orchards. The garden became a focal point of the community, and Dr. Thomas continued the tradition by planting the holly tree, along with many other landscape plants. In 1974 the community was recognized as Pittman Center, a town of about 500 people, and much of the history of the area has been preserved through the efforts of city officials. Today it is recognized as one of the few remaining original Appalachian communities. The holly is at the center of the town of Pittman Center in 1937.